Khan Bank, a Mongolian lender, has borrowed US$120mn to be used for onlending to SMEs in the country. This represents the largest loan in the bank’s history. The funds come from a syndicate of development finance institutions (DFIs), arranged by the Dutch development bank, FMO. FMO is to lend US$25mn from its own book. Joining in syndication are the German development bank, Deutsche Investitions (DEG), contributing US$23mn; the International Investment Bank, contributing US$20mn; the Belgian Investment Company for Developing Countries (BIO), contributing US$17mn and the Development Bank of Austria (OeKB) committing US$15mn. In addition to the loan facility, the DFIs have agreed to provide support around environmental and social issues. It will also support Khan Bank in its efforts to digitise lending to small businesses in Mongolia. 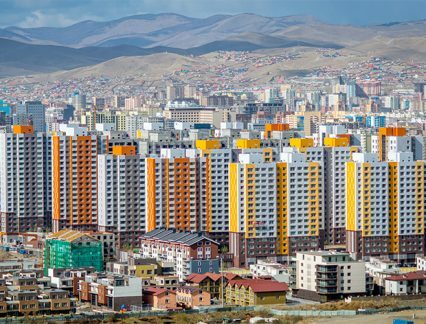 The CEO of Khan Bank, John Bell, says that there has been shrinking foreign investment in Mongolia due to the economic downturn of recent years. After a years-long mining boom, the drop in commodities prices around 2015 help put the brakes on what was one of the world’s fastest-growing economies. In 2016, the economy grew by just 1%. The Asian Development Bank (ADB) forecasts a strong return of 6.4% this year, upgraded from an initial prediction of 3.8%, thanks to better than expected private consumption as well as improved coal exports. “This syndicated loan facility from leading international financial institutions is critical not only for Khan Bank customers, but also for the overall economy. It is a promising manifestation of increasing confidence of investors in Mongolia,” Bell says.